CCS has a new software package, Interface Designer, available as part of the IDE compilers. Now users are able to create elaborate Graphical User Interfaces (GUI) with the aid of Interface Designer's user friendly interface. 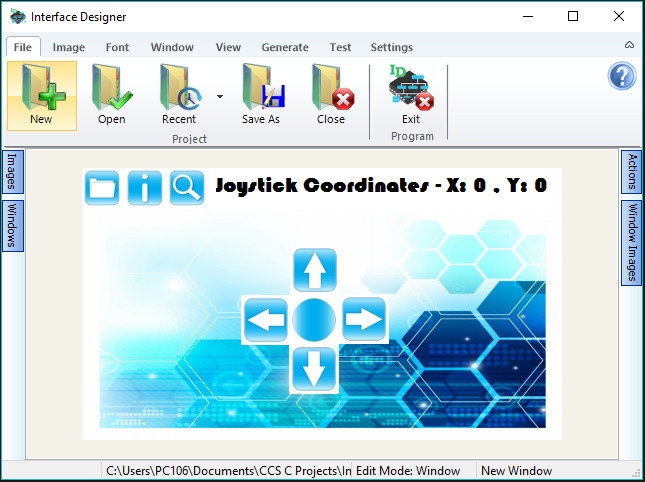 The innovative program eliminates the need to create a GUI entirely from developing C code by allowing users to create a GUI visually within Interface Designer itself. Interface Designer brings user friendly up a notch with its easy to use interface. Import custom images or chose from the library of images for use with your GUI. Implement as many different screens to be used as desired with any amount of Images using Windows, containers that visually display on the touch screen. Add Actions allows the defined Area to execute when touched on the touch screen. Generate the appropriate C code with one click of a button. 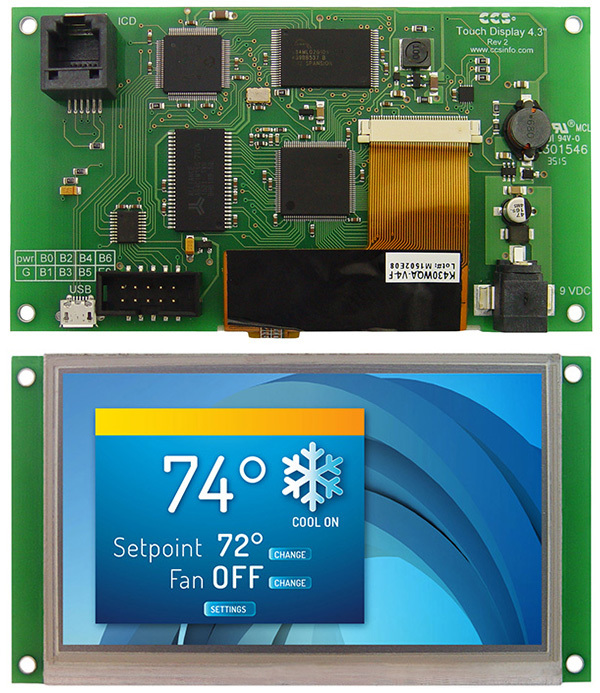 This new development board includes a 4.3" resistive touchscreen with a 480x272 screen resolution and all the hardware necessary to run the most innovative of GUI's. With all the components situated on one development board, the Touch Display gets rid of the typical need to connect a separate microcontroller to an external touch screen display, saving space. CCS has designed a signature kit for the use of the Touch Display development board which includes all of the necessary hardware and software for successful developing and has included Interface Designer as part of the CCS C Compiler.